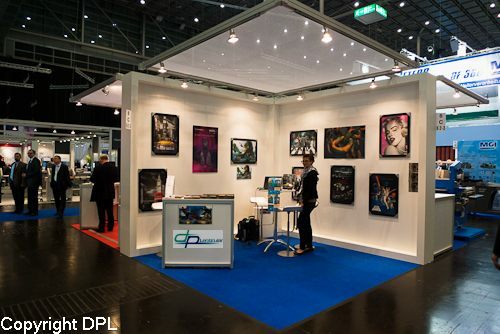 During the 3-day event from 7 to 9 April around 6,100 visitors have dealt with the No. 1 theme in the industry – printing in the mobile age of e-Books, iPads, Facebook and the like. 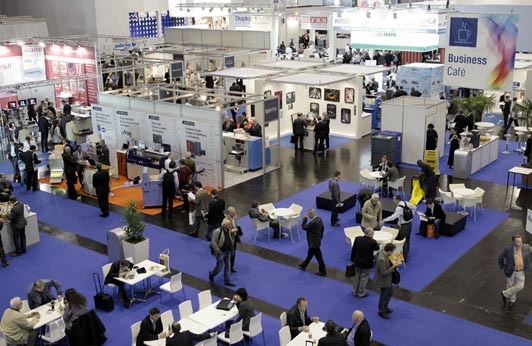 “Although we positioned digi:media to target the German-speaking and Benelux countries for a start, visitors from 29 nations came to experience the trade fair debut,” says Hans Werner Reinhard, Deputy Managing Director at Messe Düsseldorf, adding: “From talking to exhibitors we know that even very high-ranking decision makers from overseas, such as from the USA, travelled to Düsseldorf specifically to attend digi:media.” The international special-interest press also took a vivid interest in digi:media: 314 journalists from 19 countries were accredited for the fair. The digi:media strategy to bring all the target groups involved in communication together and to initiate multi-disciplinary exchange proved especially successful. Print and media service providers as well as advertising and creative agencies, marketing decision-makers and publishers have used digi:media as a platform to gather information on the convergence between the media channels print, web and mobile communication. The expert programme that offered unrivalled infotainment with 13 congresses, seminars, workshops and a total of 170 speakers was also received extremely well. Especially the Media Mundo Congress for sustainable media production, the conference organised by the “Deutsche Akademie des Buchhandels” and the Adobe lecture stages hit the tempo of the time.